This website, known as UMarmot, is an online catablog containing summary information about all manuscript and archival collections held by the Department of Special Collections and University Archives of the UMass Amherst Libraries (SCUA), as well as information about the Department and its activities. 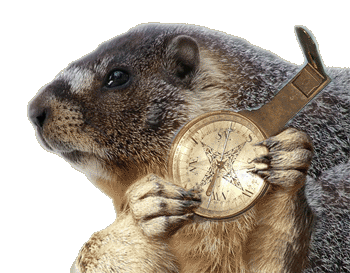 What does a UMarmot record contain? In addition to informational pages about SCUA, UMarmot contains brief descriptions of each individual collection, listing the collection name, extent, and date range covered, accompanied by a brief description of its contents, selected subject terms, and links (when available) to detailed finding aids, digital content, and other online resources. Each these records is also indexed under one or more general subject categories, which may be selected using the drop-down menu on the right side of the page. With few exceptions, every collection held by SCUA, catalogued or uncatalogued, is described in UMarmot at the collection-level, including manuscript, archival, photographic, and printed collections. Searches in UMarmot cover the complete contents of all records, including the detailed finding aids when available. Finding aids are cross-posted on the Five Colleges Consortium finding aids website. To the extent possible under U.S. law, the author(s) of metadata and other content in UMarmot have dedicated all copyright and related and neighboring rights to the public domain worldwide in keeping with Creative Commons “no rights reserved” specifications. We welcome comments on collections or the website and thank you for bearing with us while we burrow into the future. What collections are included in UMarmot? Book collections: overviews at the collection level only. Individual titles are cataloged in the UMass Amherst Libraries’ online catalog. What is not included in UMarmot? Titles of individual books and periodicals (see the Du Bois Libraries’ online catalog). What lies behind the UMarmot catablog? UMarmot was launched in early 2007 as a response to two perceived needs. First, we were seeking a low cost solution to maximizing public access to our collections, and second, we hoped to find a solution that could be shared with colleagues in institutions with less support for technological initiatives. After completing a comprehensive survey of our holdings and generating standards-compliant, minimal descriptions of each collection, we recognized that the indexing capacity, web-readiness, and familiarity of blogging software made it easy to adapt into an online catalog. Thus the “catablog” was born. After reviewing surveying options for blogging software, we selected WordPress for its superior combination of power, ease of development and maintenance, and flexibility in design. Because our goal was to make catablogging accessible to all, we initially refrained from developing UMarmot beyond installing freely-available plugins, and although we have subsequently delved into building our own themes, we have sought to keep the focus on keeping UMarmot as an inexpensive, easily implemented, open source alternative. The UMarmot approach had been taken up by many institutions and projects, some of whom have added their own interesting twists. We are glad to share our experiences with UMarmot and are available to help anyone interested in building their own catablog. The SCUA website was designed and developed by DDHW Design, Easthampton, Mass.